Want to transform the look and function of your home? It doesn't need to cost a fortune or even require much time. 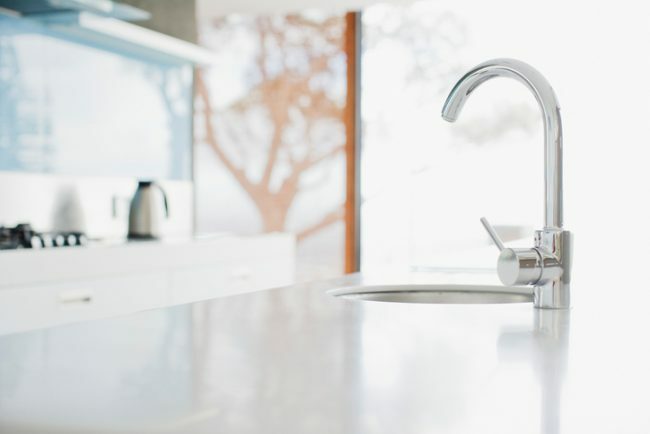 There are hundreds of home improvements you can make to update your home over a weekend, from upgrading home security to giving your bathroom a much-needed makeover. Here are 10 impressive home improvement projects you can wrap up this weekend. Your front door is your home's smile, so make sure it's looking its best. A fresh coat of bright paint can do wonders for cheering up a gloomy entry while new hardware can give your front door an easy facelift. You can also improve the approach to the entry by adding a border of bricks along the walkway that are set in a trench with sand. Technology has come a long way. Home security cameras are no longer the ugly gray blocks mounted to your wall that you may envision; instead, a home security system can be aesthetic and understated while incorporating wireless technology to keep an eye on what matters most, even from your smartphone on vacation or while you're at work. A home security camera at your front door allows you to make sure the kids got home safely, check who is knocking on the door, and monitor activity outside of your home. While some security systems can be installed yourself, professional security system installation is typically cost-effective. A backsplash can make a big statement in your kitchen while protecting your walls and making cleanup a bit easier. You don't need to opt for an expensive and time-consuming tile blacksplash: try easy, DIY options like wallpaper, tin tiles, or peel-and-stick subway tiles. Wish you had more outdoor living space? With flagstone, you can build an outdoor patio in a weekend without mortar. Excavate the area to at least six inches for drainage then add a base material like crushed limestone or gravel to keep the patio from shifting. Tamp down the base then add two inches of builder's sand with a rake. Install some edging and add your flagstones over the sand, keeping the pieces close together for a cohesive look or farther apart if you want to add ground cover. Fill spaces with sand and enjoy! Want to declutter your home? Turn a drawer into a simple but effective charging station. Outfit a drawer with a divided drawer organizer and a power strip to serve as a charging dock and organizer. Drill a hole in the back of the drawer for cords and you're all set. Doing the laundry doesn't need to be an unpleasant chore if you have the right setup. If your laundry room is lacking storage and workspace, a quick trip to a home improvement store and a few hours is all you need to fix the problem. Purchase a stock countertop and caps then assemble do-it-yourself shelving to support it. Hang utility wall cabinets over your counters to store your cleaning supplies and add an adjustable rod for hanging clothes. For better lighting, go with 90-plus CRI fluorescent bulbs and a four-bulb fixture to better see what you're doing. Improvements are necessary for the homes and if it adds beauty then we should do it. Thanks for sharing the important home improvement tips that we can do on weekends and get it completed in short span of time. Thanks.